Every year Berlin’s foremost “petri dish” of contemporary electronic, digital and experimental music takes place at the CTM festival. This year CTM celebrated its 20th anniversary, exploring the theme of “Persistence” with a jam-packed 10-day program of concerts, club nights and performances. One of the artists at this year’s festival was Rwanda-born, Belgium-raised Aurélie Nyirabikali Lierman. She is an independent radio producer, vocalist, composer, artist - and one of this year’s Radio Lab winners at CTM. We met up for a talk about her returning to Rwanda, finding her family, and about her winning piece Sogokuru that centers around her first and very special encounters with her grandfather. 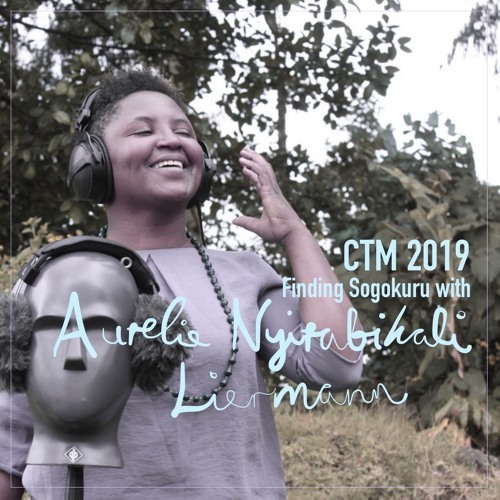 The sounds throughout this program are all from works by Aurélie Nyirabikali Lierman, from “iota mikro” “anosmia” and “kariakoo,” and an excerpt from her performance of “Sogokuru” at CTM. The full recording of the performance will be available from Deutschland Radio’s website on March 22nd. Wow, The Lake Radio ! Big shout out for creating this beautiful and so respectful dedicated document on my work, my piece Sogokuru, my grandfather !! Huge Gratitude ! !